The holiday season was a heck of a party for retailers, but consumers are now nursing a shopping hangover that will keep them out of the nation's stores in January and February. 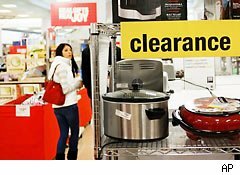 While November and December will go down in the record books thanks to consumers spending like it was 1999, January retail sales are expected to sink to some of their lowest levels as Americans take stock of their credit-card spending binge, according to America's Research Group, the consumer research and marketing firm. "Now that those credit card bills are hitting mailboxes, shoppers will cut back in a very significant way relative to [the] January and February of the last few years," said Britt Beemer, group chairman of America's Research Group, in a statement. Certainly holiday 2011 stands in stark contrast to the previous few years, when recession-scarred consumers were in a conservative frame of mind. This time, shoppers unleashed their pent up spending impulses -- and racked up debt. Credit card spending climbed 7% in November and was up in the first half of December, according to First Data, which tracks consumer payment data. The growth this holiday in online shopping, which is entirely credit-driven, also helped consumers incur that debt this January, ARG says. "Americans now face the challenge of bigger credit card debt until they get their income tax refunds," Beemer said. "Unless consumers see '70% off', they will be holding back [on spending] in January and in February and possibly into the spring."